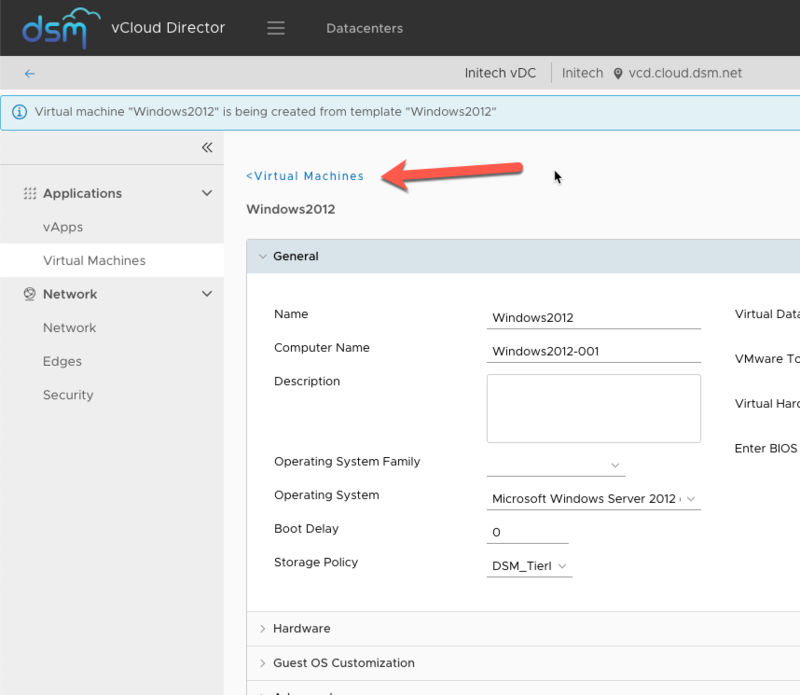 DSM provides a number of pre-built public templates that can be used for VM provisioning. 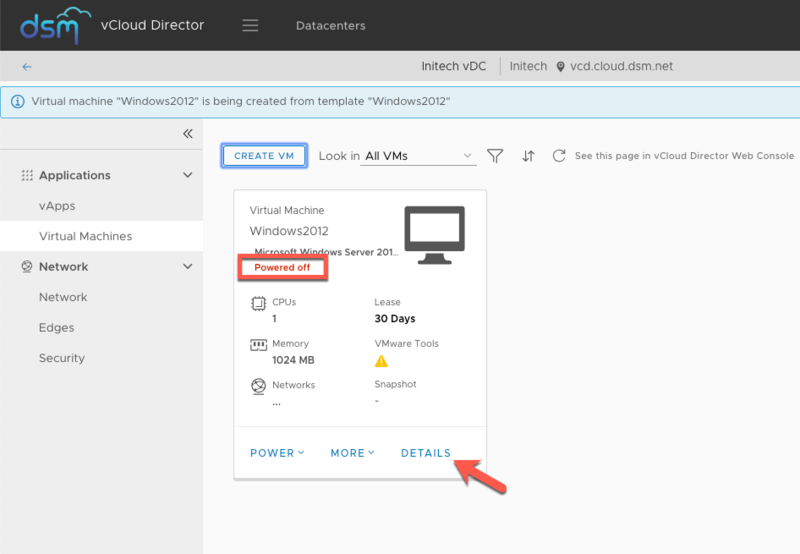 This how-to will walk you through the deployment of a guest using an existing template and how to use guest customization. 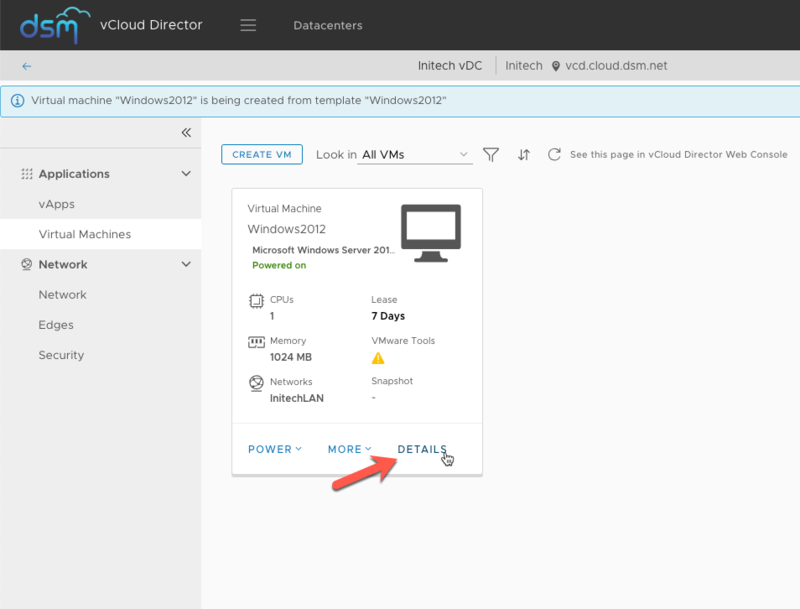 In the tenant portal under Applications, Virtual Machines select CREATE VM. Enter the appropriate information for Name, Compute Name, and Description. 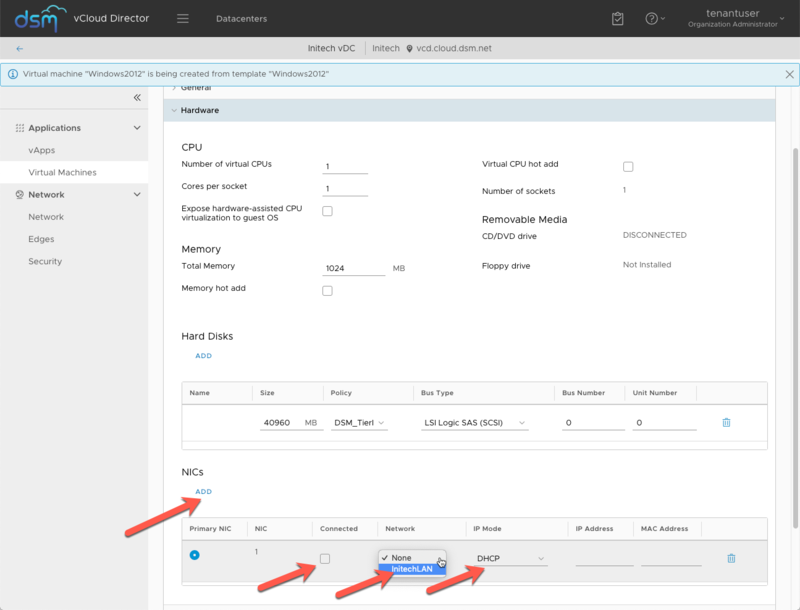 Select the appropriate Virtual Datacenter where you would like the guest deployed. Verify that From Template is selected. Select the template that you would like to deploy from. 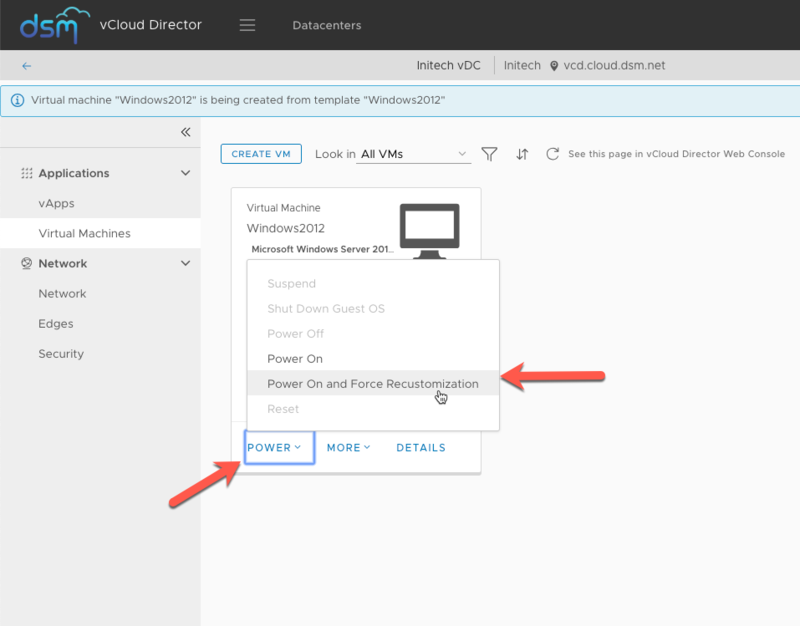 The guest deployment will start and once complete, the VM state will change to Powered Off. Under General setting verify that the Computer Name is correct. Under Hardware, modify the CPU, Memory, and Hard Disk to your desired specifications. 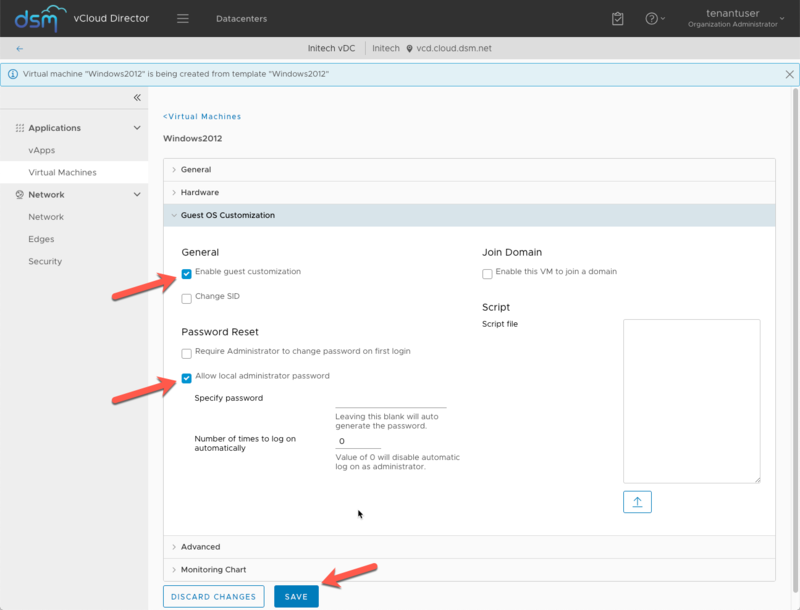 Select Connected to attach the NIC to the guest setting it active. Select the Network you wish to place the guest on from the drop down list. Select the desired IP Mode from the drop down list. 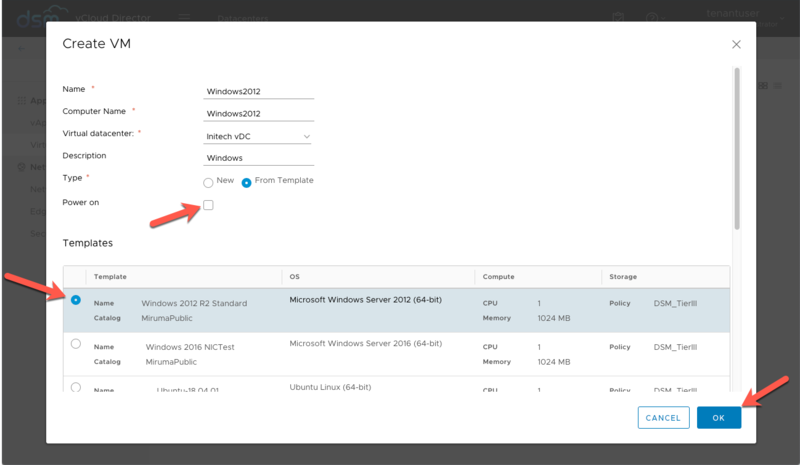 Under Guest OS Customization, select Enable guest customization. Select Allow local administrator password. Leave the Specify Password field blank and the system will automatically generate a password. Alternatively, you can enter in a user defined password. After the save is complete, select Virtual Machines to navigate back to the Virtual Machine view. Select Power and choose Power On and Force Recustomization. If you opted to have the system generate an administrator password, select Details to retrieve the password. The administrator password is located under the Guest OS Customization section. 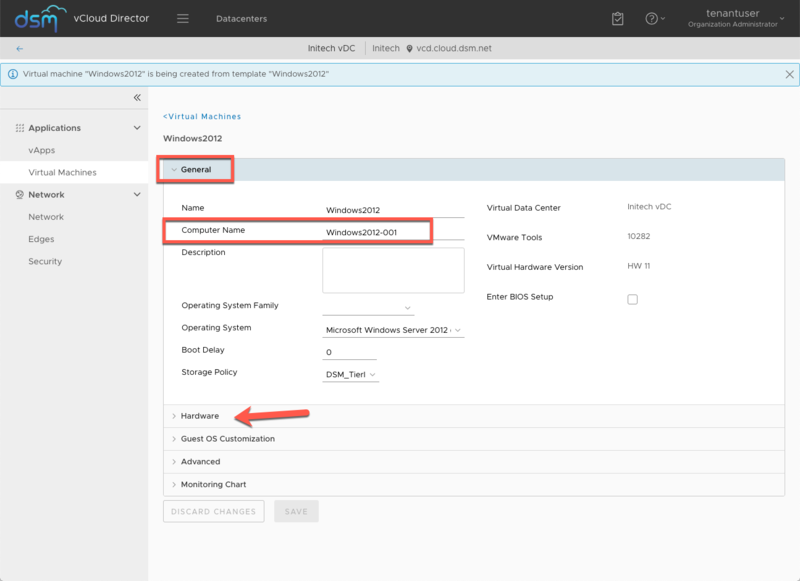 Guest OS customization can take up to 1 minute to initiate the Vmware guest customization. 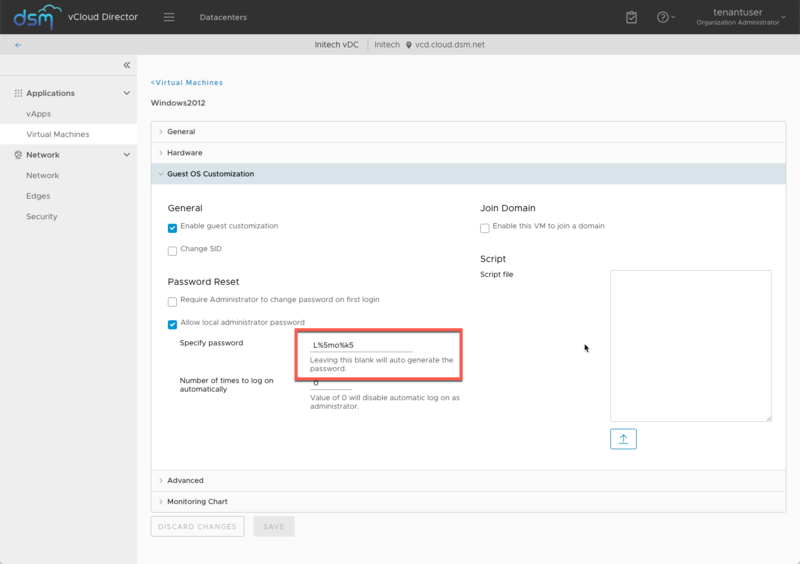 Once the VMware guest customization occurs the system will reboot automatically and you should be able to login in with the appropriate local administrator credentials.